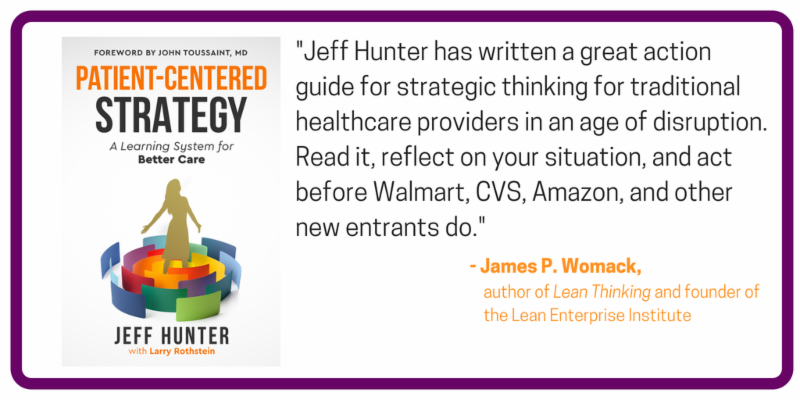 Newsletter: Is Lean Making a Difference in Healthcare? What percent or hospitals in the US are engaging in lean or a related transformational improvement approach? What percent of hospitals would say they have transformed the entire organization to the lean management/operations system? What percent of hospitals have a True North vision with which lean is aligned? Join Steve Shortell, PhD, MBA, and Tom Rundall, PhD, both from UC Berkeley, as they discuss their findings on a free webinar September 17 at 10:30 am CT.
We invite you and your team to join us in Baltimore, MD, Oct 15-16, for a Lean Leadership Series to learn from practitioners who have been successful at lean application in healthcare. Hosted by Johns Hopkins Armstrong Institute for Patient Safety and Quality. Catalysis will lead sessions that will help your team on the journey towards transformation. Participants can choose one workshop per day to create a learning experience that suits their individual needs. ** Continuing Education credits are available for some workshops see descriptions for details. NHS Highland, the largest geographic Health Board in Scotland, has been on a lean journey for over 12 years. Current CEO, Elaine Mead, has led the charge to transform the organization by enabling front-line staff to improve the patient experience. 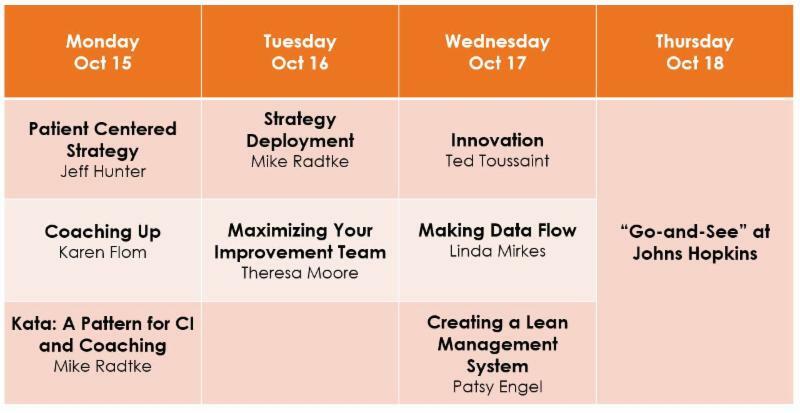 Elaine is a keynote speaker at the 4th annual Lean Healthcare Transformation Summit – Europe in Amsterdam on 9-10 October. Zuckerberg San Francisco General Hospital and Trauma Center (ZSFG) is a 397-bed public safety-net hospital that experiences over 80,000 ED visits each year and nearly 16,000 admissions. They pride themselves on being a teaching hospital, a Level 1 Trauma Center, and a lean learning organization. After adopting A3 Thinking as the organization’s primary problem-solving methodology in 2015, and faced with a worsening post-acute care crisis throughout the San Francisco Bay Area, ZSFG’s executive leadership identified improving patient flow and access as a key strategic priority in 2016-2017. Two physicians, Hemal Kanzaria, an Emergency Department physician and Kaizen Promotion Office fellow, and Jack Chase, a family physician and Medical Director of Care Coordination, troubled by the flow problems they saw in their own work as clinicians and leaders at ZSFG, developed an A3 and built up a multidisciplinary team to tackle this issue.